STAMFORD, Conn. — For the third time in four years, Nestlé Waters North America has turned over the keys to its former bottling facility in Calistoga, Calif. to the American Red Cross to use as a staging area to help Northern California communities facing wildfires. 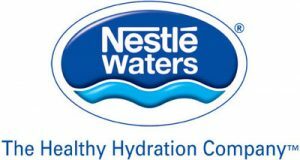 In addition to opening the doors of the former Calistoga bottling facility to the American Red Cross, Nestlé Waters has been actively responding to requests for water donations from first responders and communities in Northern California that have been impacted by wildfires, including sovereign tribal nations. In the month of August, the company delivered nearly 250,000 bottles of water to ensure that those impacted by the recent wildfires have access to clean drinking water during the recovery process. Bottled water should be stored in a cool (i.e., room temperature), dry environment away from sources of odor, such as household cleaning products, solvents such as gasoline, paint thinners and other toxic or odorous materials, and away from direct sunlight. A partially consumed bottle should be capped when not being consumed. Nestlé Waters’ three- and five-gallon bottles are intended to be used for water only. For safety reasons, gasoline, antifreeze, kerosene and other toxic substances should never be placed into our water bottles. All Nestlé Waters bottles are recyclable. Recycling empty bottles after drinking the water is critically important to keep plastic out of our waterways and landfill.